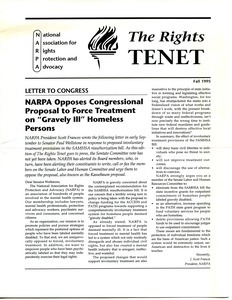 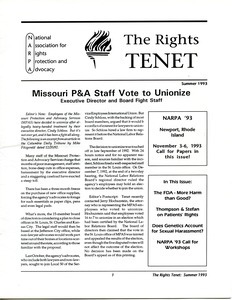 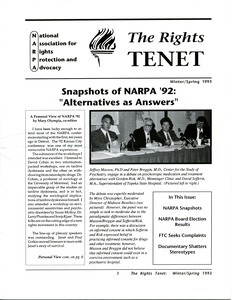 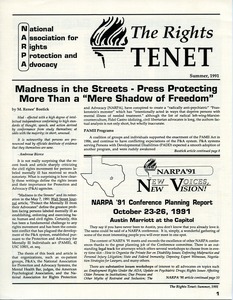 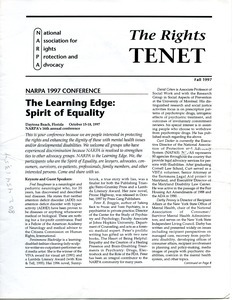 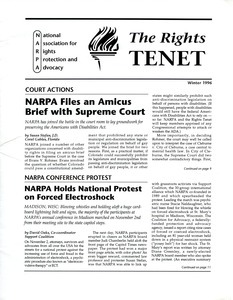 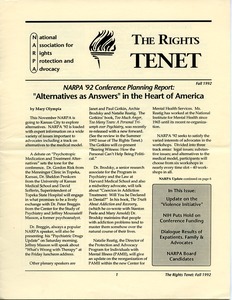 13 results found for: genres:"Newsletters"
1995 Sept. – 1995 Nov.
St. Paul (Minn.) - Includes:J. Scott Francis, "NARPA opposes congressional proposal to force treatment on 'gravely ill' homeless persons"; Bill Johnson, "How you can help NARPA go to Washington"; Peter R. Breggin, "Future development of neuroleptic medications"; George W. Albee, book review "The enemy of my enemy is my friend"; Bill Johnson, "Thoughts about things in general." 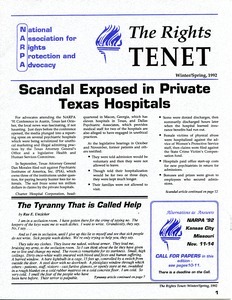 Minneapolis (Minn.) - Includes: "Scandal exposed in private Texas hospitals"; Rae Unzicker, "The tyranny that is called help"; Peter R. Breggin, "News and views of psychiatry"; "Bonnie Leitsch's story"; Cathy Costanzo, "Restraint and seclusion: a rose by any other name." 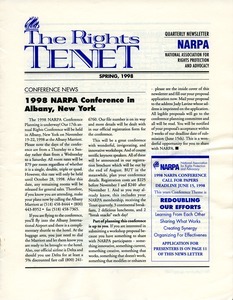 1995 Dec. – 1996 Feb.
1993 June – 1993 Aug.
1991 June – 1991 Aug.